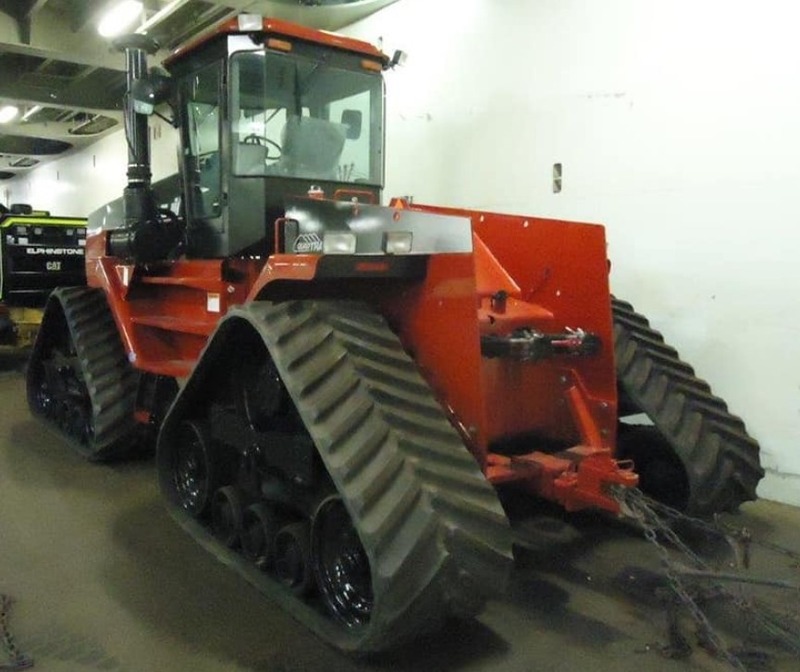 If you are planning to visit the Case IH facility at Fargo, in North Dakota this summer, then you will have an opportunity to see one of the first Steiger Quadtrac models to leave the line in 1996. On display to mark the 23rd anniversary of the Quadtrac and the 50th anniversary of the Fargo plant, the 23-year-old 9370 (360hp) was delivered new to a farm in Northern Victoria, in Australia, in 1996. Case IH ANZ (Australia New Zealand) bought it back and restored it to celebrate the 20th anniversary of the Quadtrac in 2016, after which it was sold to a 20,000-acre (8,093ha) arable farm. Working alongside two other Quadtracs - a 9380 and STX 440, the main task for the 9370 was to pull an 18.3m (60ft) Flexicoil ST 820 direct drill and 9,000-litre air cart. After 17,000 hours of hard and dusty work, the second owner praised the relatively trouble-free and reliable nature of the tractor, which was recently updated for a Case IH Steiger 450 Quadtrac. The retired 9370’s working days are over and the Cummins-powered tractor is currently making the return trip to North America. It is expected to be polished and on display at the Fargo facility shortly.